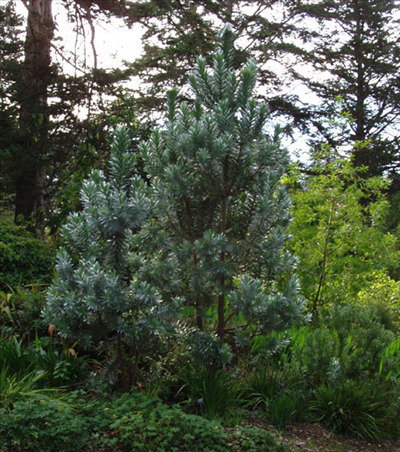 Handsome, medium sized tree, 25', native to South Africa, with large silvery leaves. Growing well in Ojai although can at times be unpredictable. Suitable for most well-drained soils even clay soil. 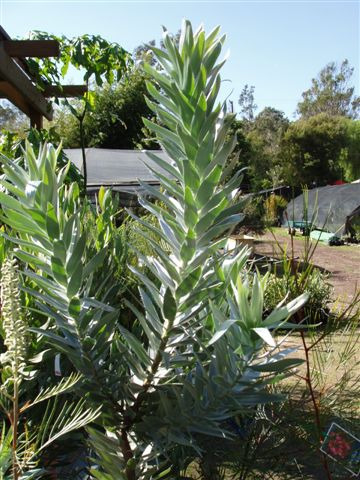 Grown commercially for its cut foliage. Can also be grown as a large container plant. NEVER FERTILIZER WITH PHOSPHORUS. Propagation Information: Seed sown with Smoke Plus treatment germinates best.